Recap: The Cincinnati Reds won a series of baseball games! 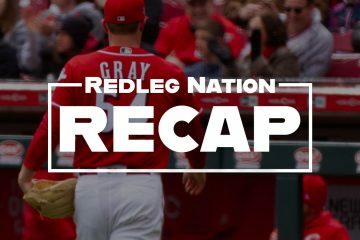 The Short Version: Tyler Mahle pitches another outstanding game and, after taking a day off, the Reds offense returned on Sunday. You know what that means: for the first time in 2018, the Cincinnati Reds won a series against another major league baseball team! –Don’t look now, but your Cincinnati Reds just went 4-3 in the last week. That’s a winning record, friends and neighbors. –Another good start by the kid, Tyler Mahle: 6.1 innings pitched, one run allowed on four hits and two walks, striking out seven. Mahle threw 93 pitches and, again, began to struggle the third time through the opposing lineup. Still, an excellent start and I continue to be encouraged by Mahle’s development. –Jesse Winker reached base for the 14th consecutive game, going 2-5 with a double, a run scored and an RBI. Jose Peraza went 3-5 — hitting in his seventh consecutive game — and he’s now hitting .299/.321/.411 on the season. –Eugenio Suarez was 2-4 with a double, a walk, and two RBI. Scooter Gennett was 2-5 with a double and two runs scored. Joey Votto had a hit and two walks. Adam Duvall murdered a baseball for his fourth home run of the season. –Gotta say it again: for the first time in 2018, the Cincinnati Reds won a series against another major league baseball team! –The Reds scored in each of the first four innings. In the first, Peraza singled with one out and later came around on a Suarez double to the left field corner. In the second, Tucker Barnhart walked, Alex Blandino grounded into a fielder’s choice, then scored from first on a Winker double over the right fielder’s head. The Reds pushed two across in the third inning. Votto led off with a single, and Scooter doubled him to third. After Suarez walked to load the bases with no outs, Scott Schebler and Duvall both grounded into fielder’s choices that plated runs. The floodgates opened in the fourth. Blandino, Winker, and Peraza all singled, scoring one. Then, with two outs, Suarez and Schebler connected for back-to-back RBI singles. 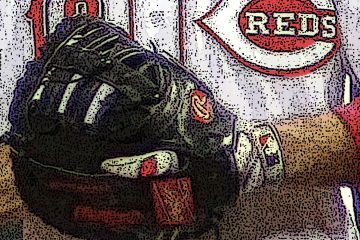 –With an 8-1 lead, it seemed like a good opportunity for the Reds to get Amir Garrett stretched out a little. Garrett came on in relief of Mahle and finished out the seventh inning. Any hopes that he would finish out the game were dashed quickly, however. The Twins singled and walked to open the eighth, and Reds manager Jim Riggleman quickly replaced Garrett with Wandy Peralta. Peralta quickly retired three straight hitters. — Watching the kids — Tyler Mahle, Jesse Winker, Jose Peraza, Amir Garrett, Alex Blandino, even throw Eugenio Suarez into that bucket — lead the Reds today is the only joy you can get in a miserable season like this. –The Reds are only 10 games out of first place in the NL Central! When Price was fired the #Reds had scored 54 runs in 18 games. In the 10 games since he was fired, they’ve scored 58 runs. That was Amir Garrett's first walk since his first appearance of the season. He made 10 appearances (13.2ip) between walks. Peraza is the test case on batting avg. He can hit .285 ….but…..can he get on base at .340? Can he hit for a little power. Can he he be average at SS? Riggleman is managing and doing a nice job. Starting to look like an MLB team out there; instead of a steaming pile of bleeeep. Go Reds! Nice recap Chad. It’s easy to get excited about Tyler but I’m not quite sold yet. I remember Mike LaCoss and Jack Armstrong. But Tyler and Homer are our best two pitchers right now. We can build around that. Not yet sold on Peraza either but he’s doing just fine right now. Glad the Reds at least won a series the first month of the season. Man, that’s getting desperate. I have seen Tyler in the minors. I am not surprised he is doing well in the majors. I think he had staying power. This is a much better team after purging Gosselin, Pennington, Gallardo, Quackenbush…and Price. Of course, it also helps to have a healthy Suarez, Schebler, Winker, and Hernandez. It also helps to play the Twins. Man, they looked rough. Hope the Brewers look the same after being swept by the Cubs. The Twins do look rough–the can’t field a lick, for starters–but they’re an AL team with a better record than the Reds, and playing in their own friendly confines. I’m not close to giving up on this season, and like a lot of what Riggleman is doing, despite our uniformly dire predictions. Liked the lineup today with Hamilton on the bench, coming in late for defense. Riggleman seemingly steers the ship with a stronger hand. These guys need that. Mahle’s pitch count was low when he came out, 70 some, thought he could go a couple more batters. But hey, a series win!! Might have to head up next weekend for a couple games. Mahle threw 93 pitches today. It was time for Mahle to get the hok today. He’ll learn to mage his pitches through the 3rd time hitters face him. It’s a process and it requires pitching thyrough the process. My bad. Must have looked at the PC at the start of the inning. And I agree. He’ll go deeper with more experience. It seems that Jim Riggleman has managed differently than Price….lineups, in game decisions, etc. I wonder if it’s him or management/ownership backing off (i.e. Castellini) letting the manager, a baseball guy, manage? Thoughts? I think the main difference between Rigg and Price is experience. Nothing can replace experience. Makes me think twice about wanting Larkin as our next manager. He needs to gain some experience somewhere as a decision making manager.The ideal candidate is someone with experience and an open mind. Price had 4 complete seasons of experience but was as bad at the end as at the beginning. A good manager makes a difference. Managerial experience is a big factor in ML success. The question is how they get it either in the minor leagues or as a ML bench coach. Riggleman has experience and at his age has nothing too much to prove, but he is making moves that show a positive result. He does talk to his coaches and players during the game and comes across as an authority figure without being distant from the players. The result, so far, is positive. What IÃ¢â‚¬â„¢m about to say is anecdotal and without factual support BUT IÃ¢â‚¬â„¢ve noticed younger newer managers tend to play aging vets more instead of promising rookies either because they donÃ¢â‚¬â„¢t want to anger the vets (Price) or weÃ¢â‚¬â„¢re very recently a vet themselves (Matheny, Mattingly, Girardi). The more accomplished guys are more likely to move past that. They know they wonÃ¢â‚¬â„¢t lose the locker room if they play the rookie. At least Riggleman appears to be the latter. What he says about pinch-hitting for BH sounds like it’s coming from him. It must have been the FO that got rid of some of the journeymen, so we don’t know what Riggleman would do if he had them as options, but so far, so good. Of course, they’re playing pretty well now, so it’s easy to like the manager. Peraza’s turnaround has been quite compelling. I haven’t been watching every game from beginning to end so I can’t verify this by my own two eyes, but one of the Reds announcers (may have been Thom) said this weekend that Peraza is making all the plays at short, along with his hitting resurgence. It is a reminder of how he was late in 2016 when he hit over .300 in the second half. Obviously, if he can do that, then the number of walks becomes not quite as important. I may have been looking at things with a pessimistic eye when every day was a loss, but it seemed a few weeks back that Peraza was a step short on the defensive range factor, along with swinging wildly at everything. He’s only 23, and was probably feeling the heat of knowing that the organization’s top prospect was being tried out at his position in the spring. The last week has provided reason for optimism. The offense that went to sleep most of April is back, with three starters hitting over .300, two others at .299, and also Joey Votto heating up. I think this is what we were anticipating from this offense that was better than average most of last year. The bullpen could really shape up to be special. Hughes has looked outstanding. When Lorenzen gets back, you’ll have either Floro or Brice as your long man, and that’s not all bad, based on what we’ve seen so far this year. If Castillo can’t turn it around, he should go to Louisville to do so when DeSclafani returns, or even sooner. With the exception of Finnegan, the rest of the starters have given acceptable performances more often than not. It’s obviously more fun when they win, and unlike about two and a half weeks ago, it feels like when the game is close, they have a shot. Rigglemen’s comments about wanting to skip a start for Castillo in order to get his mechanics ironed out but can’t because there is no off day to allow him to skip a start really bothers me. Is this more of the management by commitee aproach described by BC? No one is allowed to make a decision about anything without running it up the flagpole? If Castillo needs a couple of weeks to work on his mechanics outside of game action, get him down to AAA to work on his mechanics for a couple of weeks! There are other options available to cover for him. The Reds are carrying an 8 man bullpen for crying out loud. Louisville is an hour away from GABP with regular runs by the Louisville shuttle. The first and only priority for everyone should be the development of the youngsters and this should be the last season dedicated to that development. What is wrong with this organization?! Rigglemen’s comment really bothered me too. It appears the concern about trying to put together a couple of wins overrides the concern of developing a potential stud young pitcher for the future. This conflict seemed to be a constant factor in the Price era. The Cincinnati Reds team OBP=0.323, 7th in the NL. The average OBP for the top 7 hitters on the roster is 0.366. Injuries have played a significant role in keeping the team OBP at league average rather than leading the league, but playing time dedicated to players in the bottom 20% of the league qualifiers also plays a significant role. The Cincinnati Reds team OPS=0.684, 10th in the NL. The average OPS for the top 7 hitters on the roster is 0.807. Injuries have played a significant role in keeping the team OPS below league average rather than leading the league, but playing time dedicated to players in the bottom 25% of the league qualifiers also plays a significant role. Neither of the 2 players, receiving regular playing time and dragging down the team performance, will be members of the next competitive Reds team, yet they continue to receive playing time better distributed to players who could be members of the next Reds competitive team. It’s time to move past these idiotic decisions by committee and get some leadership backbone. Riggleman is a more active manager. He doesn’t sit back. He plays to win that day. He makes moves in the 6th inning. I like it. He’s holding players accountable. He’s pushing players. I agree. That’s the same sense I have gotten. Agree. Reds website had an interesting article about Riggleman pinch-hitting for Hamilton late in the game and having a quicker hook on the starters. Definitely a more active approach, and I like it. I noticed almost as soon as he started managing in that St. Louis series that they were more aggressive on the base paths as well, running 1st to 3rd, etc. IÃ¢â‚¬â„¢ve been hard on this team but maybe they are coming around. The change at manager may have really helped. Regardless….Go Reds! Yep, yep, yep. Duvall in only against lefty starters. Happy to see this run of games. Too bad the first 3 weeks were so bad. You can’t win a pennant in April but you sure can lose one. Not that I expected this team to contend but … This team will have to go 75-60 the rest of the year just to finish 81-81. Which would show tremendous progress. I happy to see wins. Mahle looked like he was DEALING today! Nice game, nice series win! On another note, I’ve just noticed how silly our road caps with the black brim look, when there’s really no other black on the uni. Go back to the Red! Agree completely on both points, Jesse. In my opinion when the last manager was fired because he didnÃ¢â‚¬â„¢t do whst the front office wanted. Primarily the front office wanted the younger players playing much more often. So heÃ¢â‚¬â„¢s playing the younger players which the front office ( and we) wanted Ã¢â‚¬â€œ and heÃ¢â‚¬â„¢s managing in game much better than his predecessor – and his lineups are much closer to what we all have been asking for. Anyway, the new manager floats an idea And he tells us his thought processes about the pros and cons – And people start jumping on him because he wants to make sure heÃ¢â‚¬â„¢s not gonna be on the hot seat for making that decision. Front office still has to answer for why they GAVE Price Gosselin, Pennington, Gallardo, and Quackenbush. Bad calls all. With the team closer to full health now it was inevitable the offense would start to come around. Aboslutely love Billy coming in off the bench as a pinch runner/late defensive sub. I’m beginning to become cautiously optimistic about the team. Riggleman doesn’t care if he pisses off players who aren’t performing (as evidenced by pinch hitting for Hamilton and the early hook for struggling pitchers). Consequences for poor performance are a welcome change to excuses. Aggressiveness is a welcome change from passivity. Believing your team can win is a welcome change from Price-esque (Prician?) self-pity. Everyone talks about the 77 F Bomb Salute. Nobody talks about how that rant included him saying out loud, in front of cameras, “it’s hard enough to f——g win here”. What kind of message did that send to players? Yes, small market teams face greater challenge than large market teams, but if you focus on your limitations you’re already beaten before you take the field. I think it’s ironic how when Price came in he was billed as being an open-minded, analytically-inclined hot commodity, when it reality he seemed to stubbornly cling to whatever preconceived notions he had about players and never, EVER changed his outlook even when the evidence was obvious to everyone and their mothers. It’s quite an indictment on Price when someone like Riggleman is seen as more flexible and open to trying new idea than Price was, but that’s absolutely where we are. And as you said, there at least seems to be some accountability now, whereas with Price failure was met with apathy and indifference, which again, showed Price was too stubborn to make changes or aggressively push for improvement. Fact-check, Chad. The Reds have won another series this year – a 1-0 sweep of the Chicago Cubs in their second series of the season (following being swept by the Nats). The second game was a rainout, of course. It’s nice to get one that’s legit, finally! This is true. But I don’t think we can consider one game a “series.” By definition, a series has to be more than one game. I have, however, enjoyed poking fun at my Cub fan friends about the fact that they got swept by the Reds. I have a feeling this season may end up like the 1984 season. terrible start but then we were able to get to the 500 mark for a while then we faded at the end. This Reds team is beginning to play like what many of us expected at the beginning of the season. Solid offense, and an up-and-down pitching performance as the young guys either sink or swim. I’m really happy that Peraza has caught on fire, for me, the moment that turned me 100% against Price happened last year after the All-Star Break when Peraza clearly changed his approach and was just starting to have success, and Price benched him in favor of Scooter Gennett. Even I could see last year the the kid was starting to figure it out, and I feel somewhat vindicated with the results so far this year. How much of this is down to a boost in confidence when Riggleman said he wanted Peraza in the #2 hole because he could see an “improvement in his approach”? Maybe it really makes a difference when you have a manager that expresses belief in you, especially for a young kid. I’m just glad Price is gone. Even with all the horrible Reds managers in the last 20 years, I don’t think a manager ever filled me with a sense of complete disgust like Price did (although Bob Boone had his moments too). Ahhhh, “Bob Bafoon” as he was called by many. Proof that not all catchers make good managers, even if quite a few seem to. I like Bob Boone the guy. Bob Boone the manager is another matter entirely… Aaron seems to be doing alright with the Yankees so far. Of course that team is stacked too. In my circles back in that day, the bipedal wonder Bob Boone was simply “Boboon” (sometimes adding Purple-Assed as a prefix; alternatively “Bah Boon”). Strategically-challenged to the max. Lay down a bunt after a leadoff single. Smart baseball. Oink. A fine, durable veteran who’s part of one of beisbol’s beloved family legacies with three members (players grandpa Ray, PED Bret and Aaron) joining Bah as part of the larger Redleg family, Boboon was, nonetheless, as clueless regarding baseball strategy as the late, lamented Bo Diaz was bereft of foot speed. Regardless, ANY manager who uses the 2-hole hitter to bunt a lead-off baserunner to second with Domo Ariigato Mr. Joe Votto on-deck deserves to be shot. NOT with a gunshot, for chrissakes, but with rock salt or yellow paint-ball, at least. Riggleman’s approach to shuffle line-up here & there is comforting, after Price’s stubbornness to deploy same line-up day after day. However, it was easier with a DH, now back to NL games it remains to be seen. I wonder if Gennett has ever been tested at LF, so Hamilton and Duvall stay as bench players and Blandino can take over 2B. Gennett’s bat is necessary, but his defense is flaw. Scooter started 12 games at SS back in A ball in 2010. Those are the only professional starts for Scooter other than 2B. Scooters adjusted plate approach going to LF with line drives to beat the shift rather than pulling everything for power has created a much better, well-rounded hitter. His ISO has dropped in half from last season but his Hard% has increased by 8% from last season while his HR/FB ratio sits at a career low right now. As the weather warms, his power and HR production may increase, particularly to the pull side, evening out his reverse split this season. Scooter’s .763 OPS, 110 OPS+ and 112 wRC+ are more than acceptable, but his poor defense at 2B marginalizes a lot of his offensive production. The Reds contol Scooter’s contract through the 2019 season, but he makes $5.7MM through arbitration this season. It’s worth noting that Duvall is starting to hit. Gennett is certainly no more likely to be a cog on the “next good team,” but I take your point about not having a DH most of the time. Of course, the opponent won’t either. I would like to see Votto and Winker flipped in the line-up. I think it would help the team with scoring runs. I think Votto may actually be faster than Winker. I agree on Castillo. He is doing a Cody Reed out there. Bring a Bat pitcher up for a start and let him work on his mechanics. I wish the Reds could play the Twins more often. Actually they had their times listed rounding the bases on Fox Midwest a month ago or so and WInker was middle of the pack. If Castillo can’t get it going then send him down. Bob Steve has 17 walks in 21 ip so I couldn’t reward him. We’ve seen Reed’s act. I think I would give Keury Mella a shot from AA. He’s been outstanding so far with a 1.00 era & 25Ks / 5 walks in 27ip. What I really want to see though is for Lorenzen to get a shot in the rotation! He can be a better version o Romano imo. A lot of sinking fastballs but better slider then Romano and much better hitter and athlete. Garrett & Lorenzen in….Finnegan and Castillo out for now. Leave Billy on the bench too. You can try and bat him 9th and hide him, but he still cost them the game on Saturday. Agree about Lorenzen. He’s been begging to get the chance forever. As soon as he’s healthy and ready, why not? I’ve never understood why he was ‘plugged’ into the BP seemingly from the beginning. Just like Garrett (in terms of the higher ups relegating him to the BP). Billy is a terrible hitter, particularly this year, but he was not the only one who failed with runners in scoring position. I think that I saw a graphic (it may have been a dream) that said his batting avg. with risp is .333 this year. Votto has struck out with bases loaded. Hitting is hard to do. Jesse Winker came up through the lower minor leagues almost exclusively as a LF. Not until 2016 in AAA did he get significant playing time in RF and in 2017 at AAA almost exclusively playing time in RF. Winker is a bad RF. Not just below average or maginal…BAD. Winker is a pretty average LF, not good, just average. All of the defensive metrics back that up. As long as the Reds insist on playing Winker in RF, all of his offensive contribution is wiped out by his defensive shortcomings in RF. If the Reds can’t come up with a better option than playing Winker in RF, then they need to trade Winker to a team that will make him a 3-4 WAR player. Hopefully the Reds won’t get completely fleeced in the trade and end up with another speedy player that can’t hit or another pitcher that can throw fast but can’t throw strikes. I’d love to see the rationale for playing him in right, but I’d hate to see him traded. Even though I’m defense-oriented, he just hits and gets on base too well to go.Why don’t they switch him with Duvall? Duvall is a good fielder with a strong and accurate arm. Schebler needs to stay in center unless he can’t maintain his offensive production. He’s a good athlete, and hopefully, with more reps, he’ll become a good defender there. My understanding is that Duvall doesn’t want to play RF and Duvall is a premium defender in LF so the Reds are reluctant to move him. Duvall is on record as saying he doesn’t read the ball of the bat nearly as well in RF and as a guy who’s played a lot of baseball, I will add that RF is harder in most places than LF. More RH hitters than LH hitters so you get that slice away from you a lot more in RF than in LF. All that said, I think Winker in LF and Duvall in RF is the better defensive alignment when they are both out there at the same time. I’ve also argued that Duvall in RF and Schebler in LF is a better situation than what the Reds normally do because Duvall’s arm is so much better than Schebler’s. Schebler doesn’t really have the arm for RF. Alas, the Reds don’t seem to want to push the issue with Duvall and they haven’t moved Schebler to LF at all that I’ve seen. I guess we have what we have. I under stand the sentiment. Winker should be in LF. The outfield rotation should be down to a 2 man rotation of Duvall and Hamilton. Winker and Schebler can’t play everyday, but they should only be spelled periodically. There were a lot of serious injuries across MLB over the weekend. DW needs to be monitoring this situation closely and look at some opportunities to possibly trade Duvall and Scooter, maybe even together in a package. Could maybe put Hamilton in that category too. SF lost their 2B to surgery. Hamilton to SF revived, along with Scooter. Toronto sent their 2B to the minors, and they could use a multi-faceted player like Duvall at DH and 1B. They lose Donaldson (3B), Granderson (LF), and Smoak (1B) after this year, or maybe even in July. And their DH, Morales, has been dreadful. Duvall and Gennett could help them if they want to make a run. The Diamondbacks have lost 2 starting pitchers in the last few weeks to major injuries. The Mets need a C in a bad way. The LAD and WAS are struggling. The Reds shouldn’t wait until the deadline to start making trades. Other teams that were on the fence about rebuilding and are off to bad starts in 2018 will flood the trade market after the all-star break until July 31. Baltimore, KC, and Texas could make it much harder for the Reds to trade some players at the deadline. Better to seek out the market now in May and June than wait until end of July. The Reds just might have a chance to shed 2 of their last remaining high $$ contracts they have on the books in Bailey and Mesoraco. There are 2 large market teams in big need with deep pockets, ARZ and Bailey and NYM with Mesoraco. Both are in 1st place of their divisions and may have to make something happen to stay there. Solid analysis WV. I agree with the proactive approach. If Billy remains in the role he’s best suited for now, he’s a rather expensive hood ornament. Why pay him $5mil to win you a couple games in a lost season. I’m a big proponent of packaging players to get one can’t miss player back rather than picking up multiple marginal players. To that end, that’s the only kind of deal I’m making because the players we’re talking about are nice bench pieces on a team with non financial pressures. Dealing Hamilton and Duvall and Gennett would be an excellent trade for a team in win-now mode, but ONLY if you get a difference maker (Ozuna/#1 prospect type) in return. Senzel takes over 2B and the player you acquire plays RF or CF. At this point it’s addition by subtraction with BH, sad to say. It’s clear that Schebler and Winker need to play everyday, and with Blandino emerging as a plus utility guy you can plug in several positions, Riggleman can find playing time for all. Love to see Duvall get on a roll to maximize his value. The above is a fictional response but likely what a lot of contending GMs might say. There may not be a good match out there for all three players anyway. Reds are basically not going to compete. A lot of players that they may want to trade will have more value now than the end of July because the buying team will get more games out of them. The market may be pulled back just a little more than we may think because some teams may only later become buyers. The Reds absolutely should be looking though. I don’t know if Duvall or Scooter are going to bring much back either way but they clear playing time (in Duvall’s case) and they clear playing time and money (in Scooter’s case). The guy with the most value as far as prospect return is probably Iglesias but I don’t see the Reds moving him unless they are floored by an offer. I may be ok with that because I’m still hopeful the Reds may compete no later than 2020 and they will need a closer. It’s really difficult to wrap my head around why RF vs. LF is making such a difference. If there is a case to be made for transferable skills, it seems like this would be the two positions. Yes, there are some nuances, but some of the things Winker is doing poorly are true of either corner, or true of an outfielder, period. Paging roaming instructor Eric Davis? 1. There’s probably an advantage to having a left handed player in LF and vice versa in RF as they could cover the lines better. This assumes the CF handles the ‘tweener’ balls in the gap. 2. The stronger armed player generally plays RF as he has to make the long throw to 3B. Agree with MAtt WI. It’s not like you’re trying to take a LF’er and make him a catcher. This is an outfielder still playing in the outfield. Let’s not pretend that this is a “OMG..what will I do” moment. Is Winker going to get in a better throwing position from LF than he does in RF? Come on folks…it’s the outfield…all we ask for is the fundamentals. Make the routine plays…hit the cutoff man…throw an occasional runner out. He needs to bat every day, I don’t care which field he plays, but let’s not pretend that LF is SOOO much easier than RF for him.